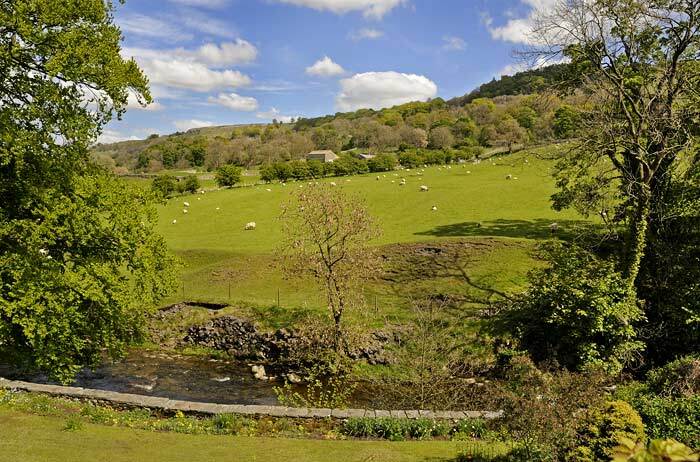 Another selection of photographs from our annual tour around the Yorkshire Dales ~ Looking down onto West Burton situated in the valley at the junction of Walden Dale, Bishopdale and Wensleydale. 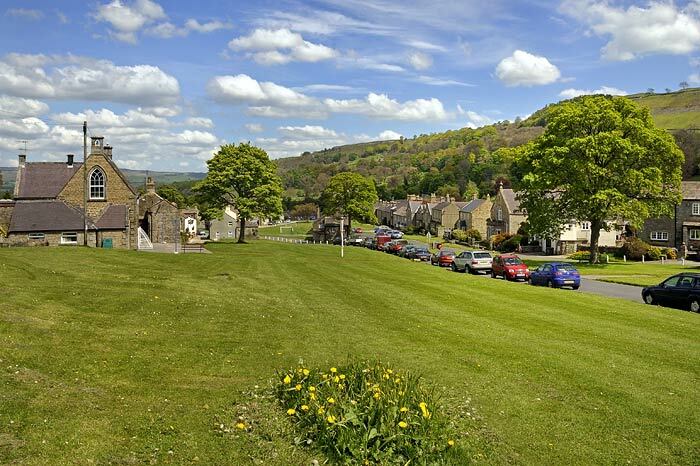 A view of the upper village green at West Burton. 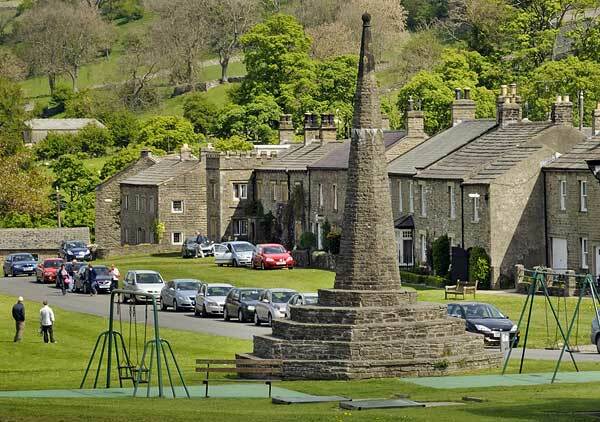 In its heyday, a little more than a century ago the village was a busy cattle and crafts centre with many shops, markets and fairs. Now a farming community the village still has craft shops, a post office and butchers, but lacking all the hustle and bustle. 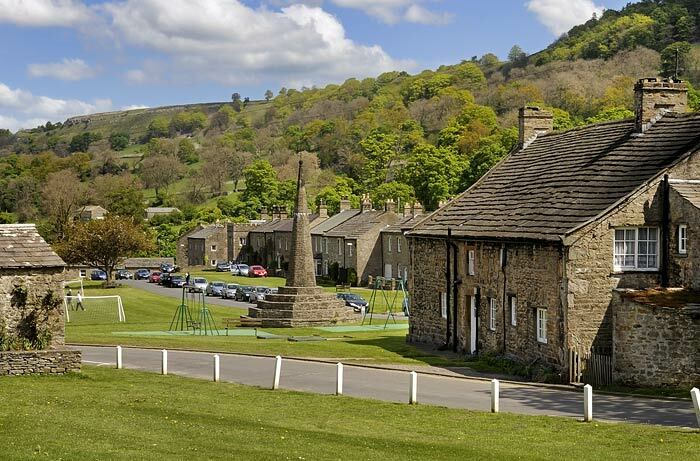 The building on the left is the village school, opened in 1874 with 19 children by September that year there were 54, today there are 46 youngsters using the school. The school was built by the Lord of the Manor Henry Thomas Robinson and his sister Mrs. Ann Hudson and originally known as "The Robinson Memorial School". The Upper Green is used as a playground by today's pupils. 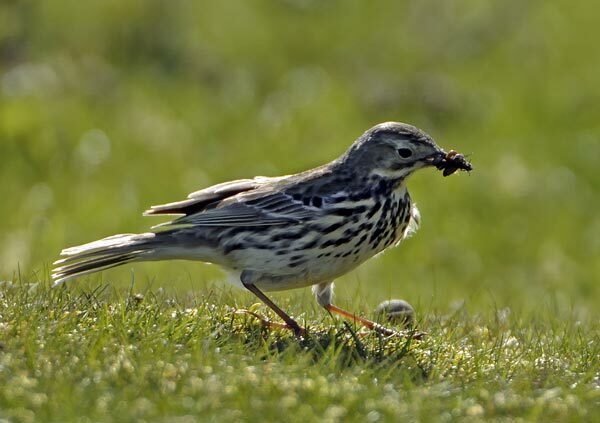 A Meadow Pipit gathering worms for its' hungry brood. 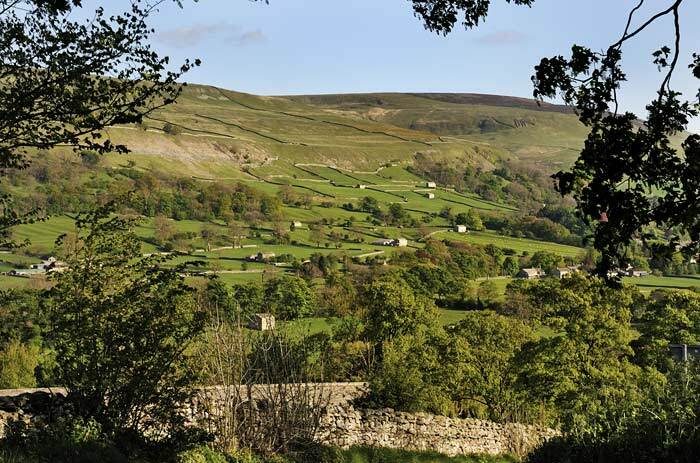 The Dales are home to a large variety of birds, the fells and valleys provide good nesting sites and shelter. Looking towards the Lower Green and the Market Cross. The inscription part way up the cross reads "Erected 1820 Restored 1889" The green is used by villagers for a variety of activities including football and quoits. The cottage on the right of the photograph above is Black Bull House and Cottage, a former inn dating from the early 18th century. When built, its cruck roof was pegged with mutton bones. Early recycling - nothing was wasted in those days. In 1640 the villages first constable was sworn in, apart from having to quell the occasional bouts of riotous behaviour he also organised the maintenance of roads and bridges. 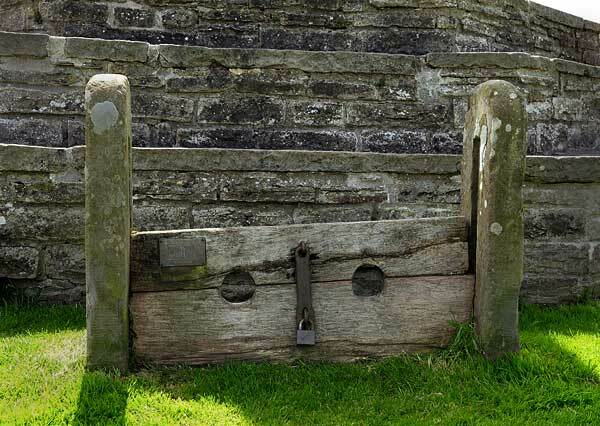 The stocks were built shortly after his arrival and it's recorded in 1660 they were used when Quaker, Samuel Watson of Stainforth Hall was punished for trying to hold a religious meeting in the village against the wishes of many of the inhabitants, the wooden board of the stocks was replaced in 1977. The road leading out of West Burton past picturesque stone cottages and a view to the fells beyond. 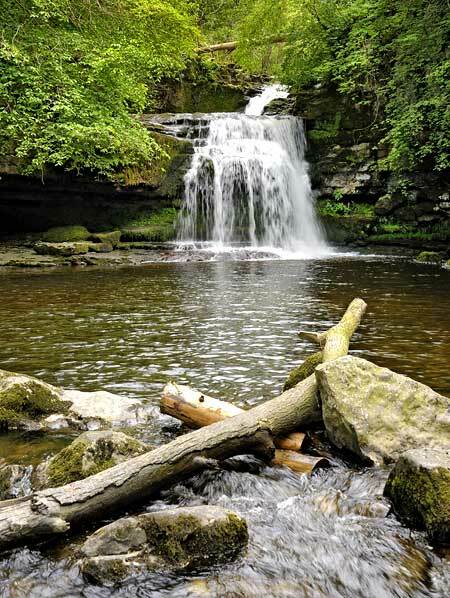 waterfalls drawn by artist J.M.W. Turner during his tour of Northern England. 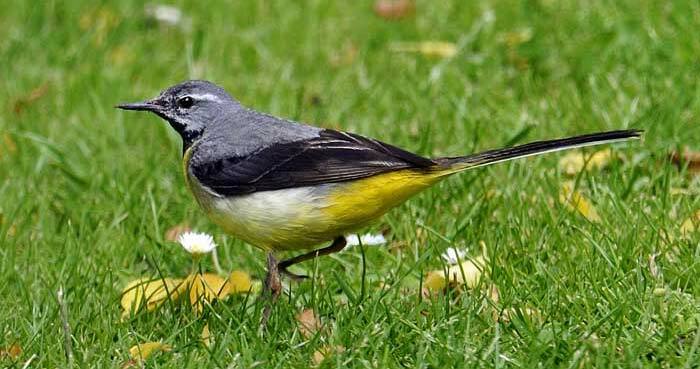 A grey wagtail, a lover of water and particularly fast running rivers. This one was caught on the river bank before he darted around the rocky river bottom catching insects. 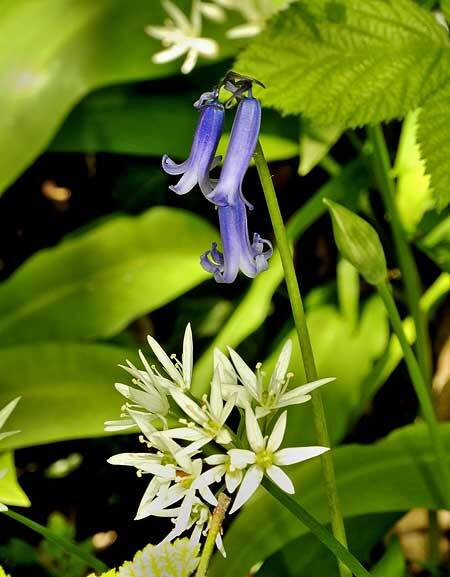 A bluebell and wild garlic. 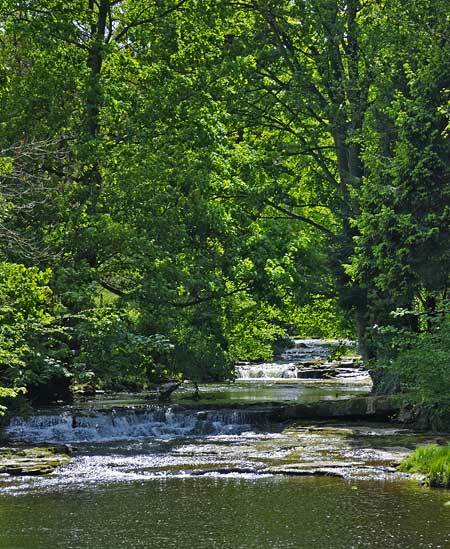 Sheep graze peacefully on the hillside while Walden Beck flows between Cauldron Falls and the Lower Falls at West Burton. 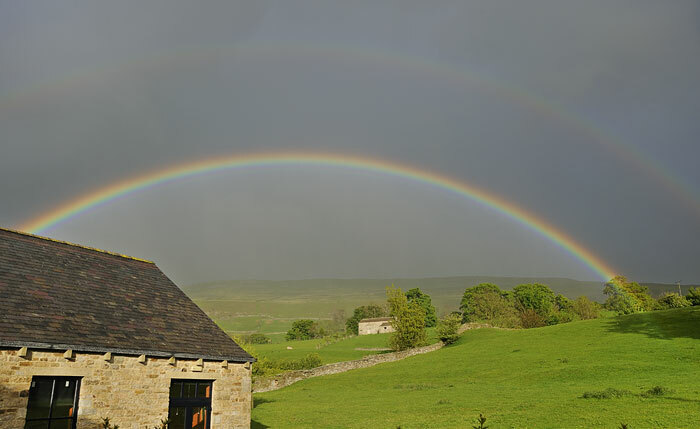 This was taken early one evening at the end of a showery May day in the Dales.